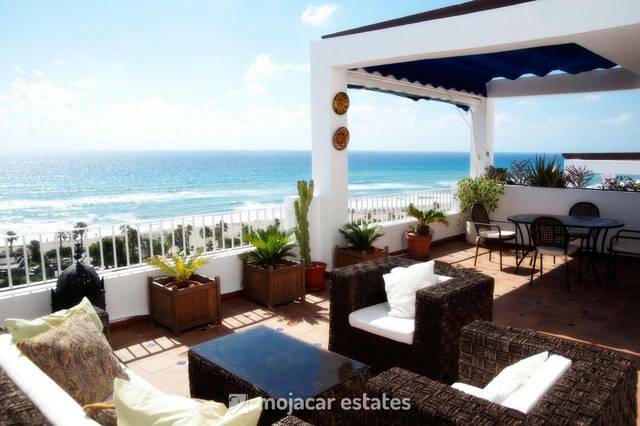 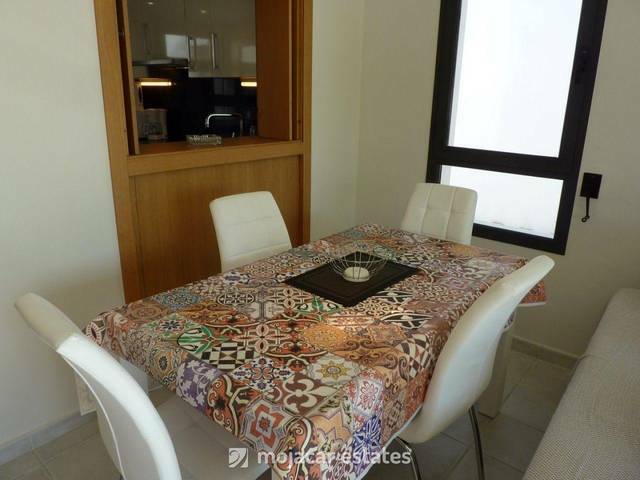 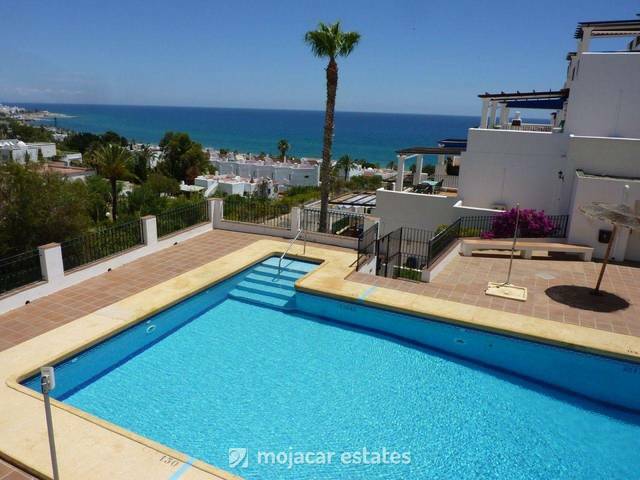 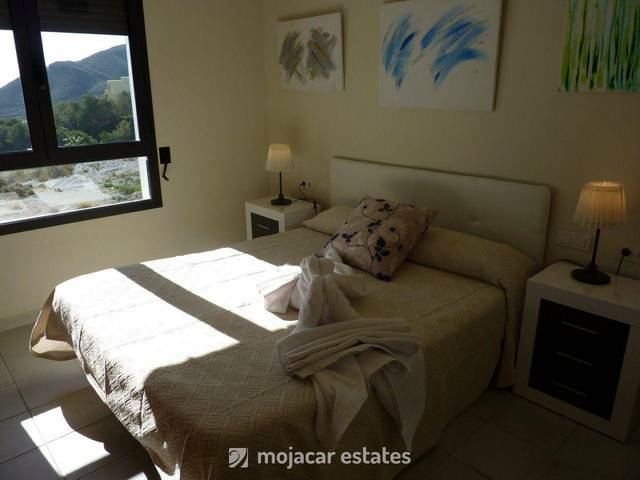 Casa Tauro - Beautiful top floor apartment with lovely private roof terrace and great mountain and sea views. 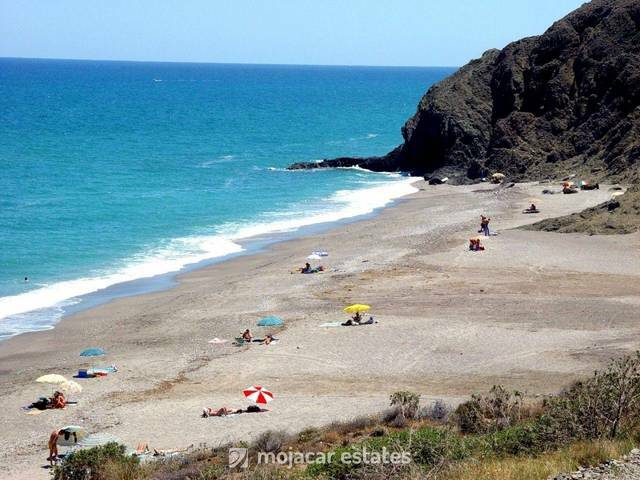 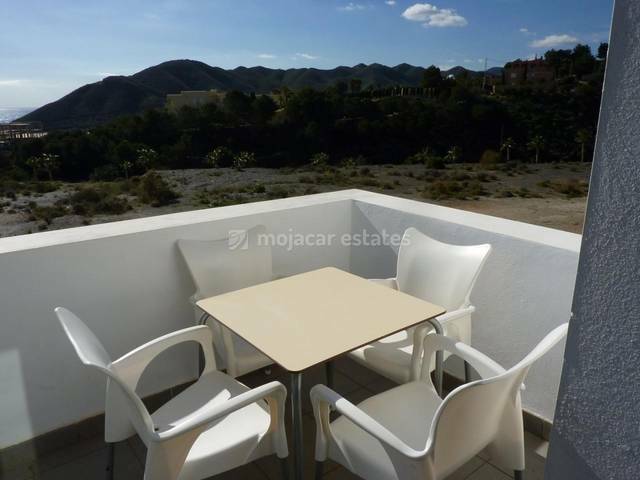 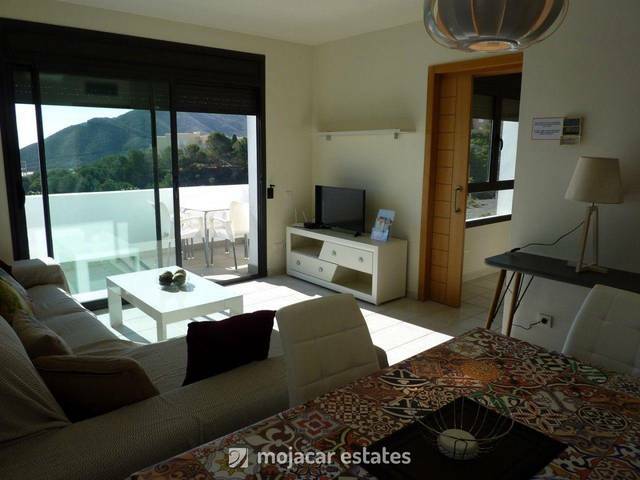 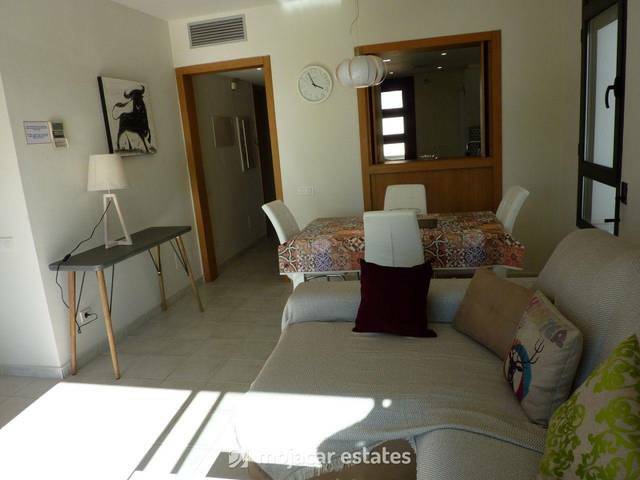 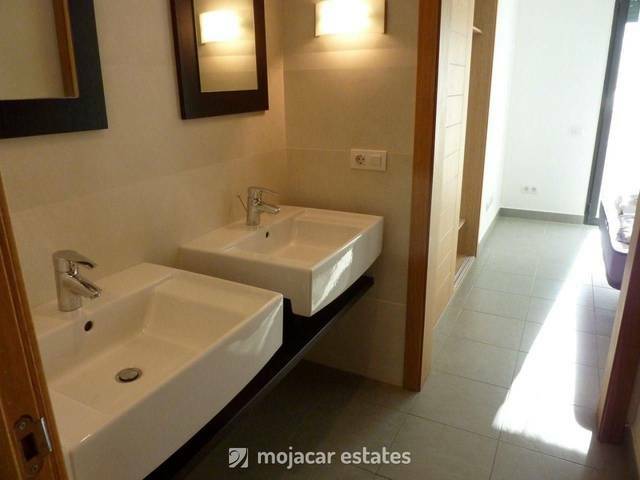 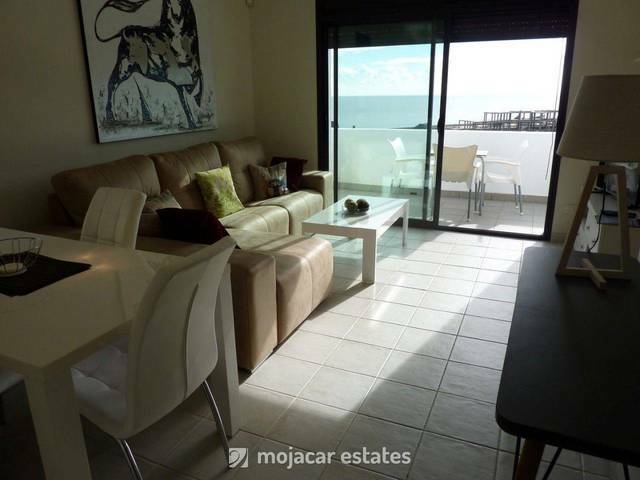 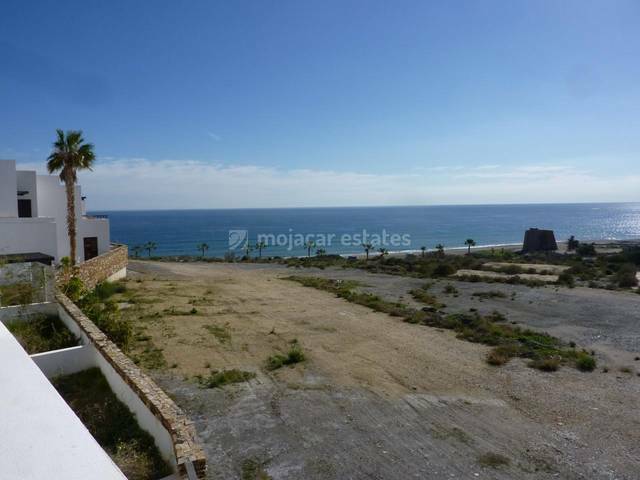 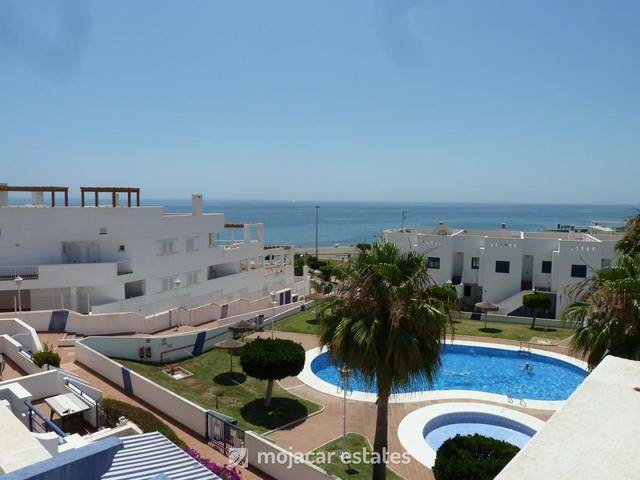 It is located in Playa Macenas - at the far end of Mojacar Playa ( south end) in Playa Macenas Golf Resort. 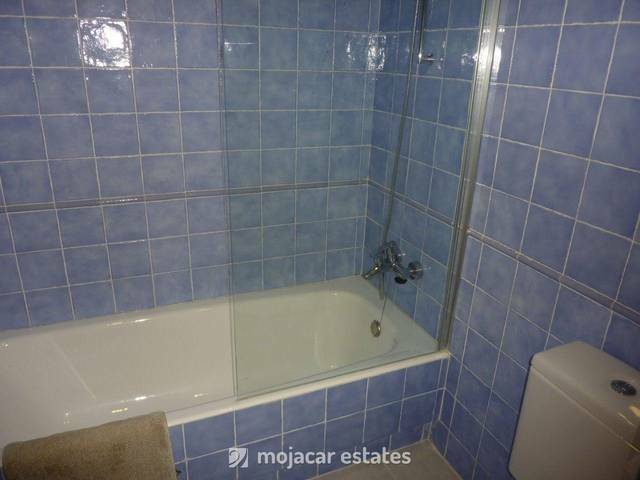 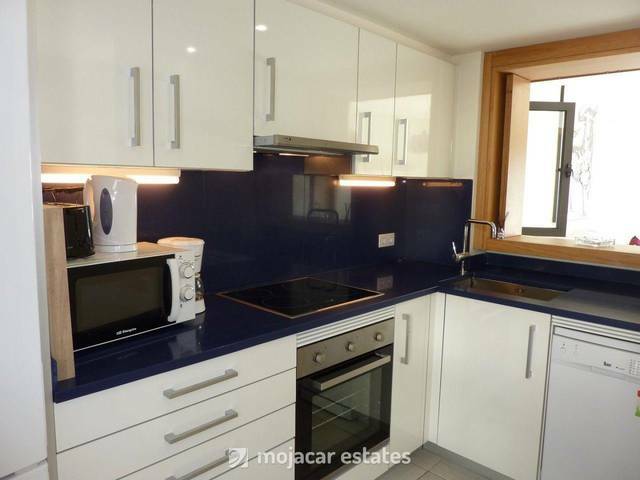 Access to the apartment is via external staircase and comprises fully equipped separate kitchen, 2 bathrooms (one with bath and shower and the other one with shower, 2 double bedrooms, both with double beds. 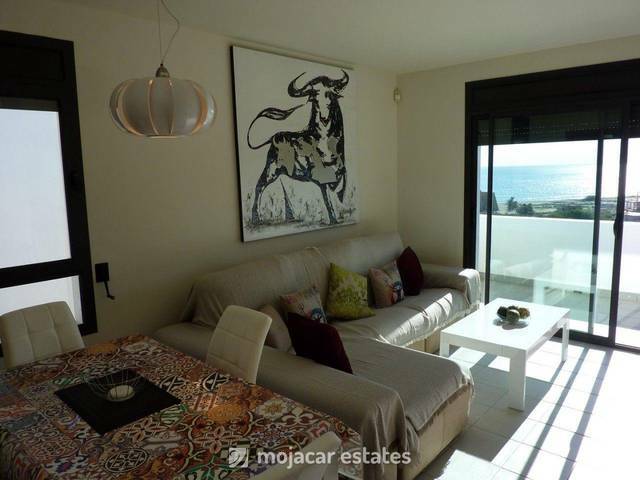 Light and airy lounge with dining area and access to south facing terrace. 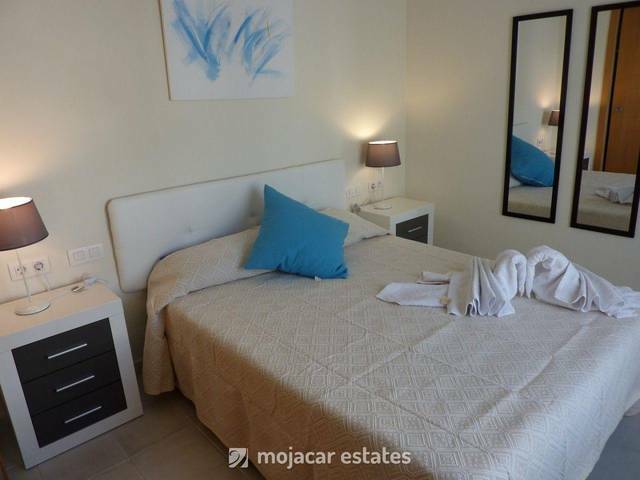 Television & Wi Fi connection. 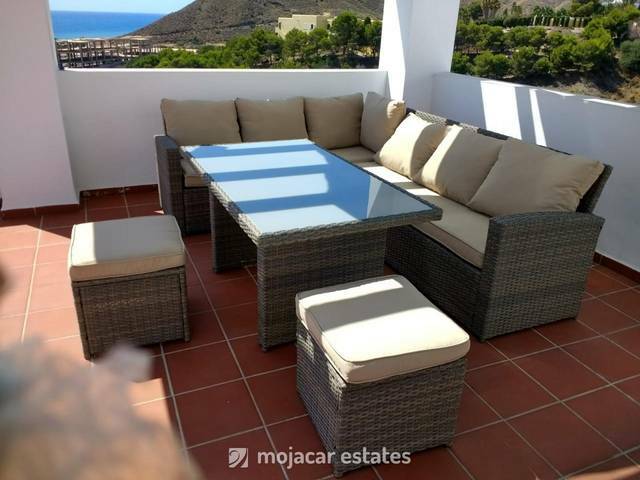 This terrace is equipped with table and chairs and there is a staircase leading up to the private roof terrace. 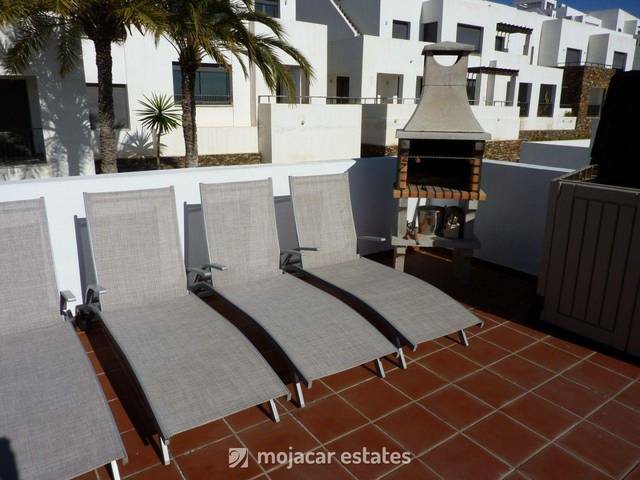 Roof terrace is equipped with built in BBQ, sofa and armchairs and sun beds. 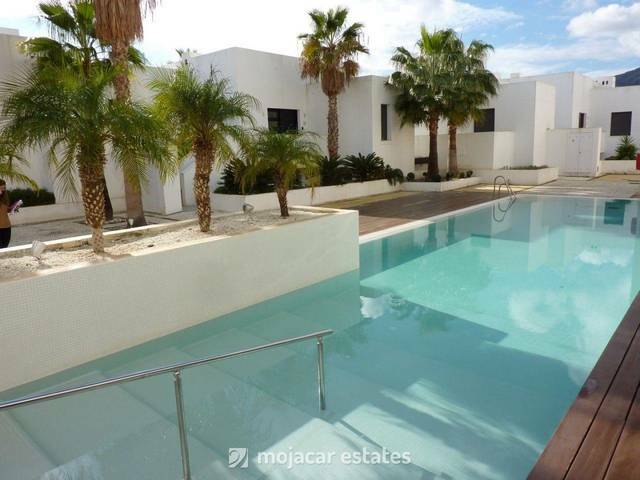 Several swimming pools in this complex and underground parking space.